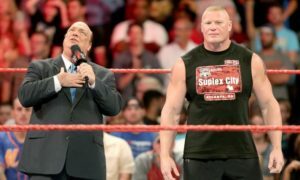 Is there a better manager/heel duo in the history of professional wrestling than Paul Heyman and his client – and the current WWE World Champion, Brock Lesnar? 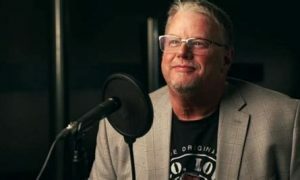 Is there a better example of how a manager is to be properly used in and out of the ring than the man who advises the one who was the one who not only beat the one as in the one in 21-1, but also took down the one as in the one who has been the one – and only – constant in the WWE over the course of the last decade? Yes, Paul Heyman is the One. With the WWE’s changing of the guard and the newly crowned champion, the importance of the role Heyman plays in the longevity of Lesnar’s title reign is severe. Honestly, this is Heyman’s reign – not The Beast. A manager is somewhat like a storyline agent for an actor or an athlete; he helps his client to book matches and appearances, and otherwise works to further and guide their career. Within the context of storylines it is the manager who positions their charge for title opportunities, decides whom to trust as an ally, and generally acts as a mouthpiece on their wrestlers’ behalf. 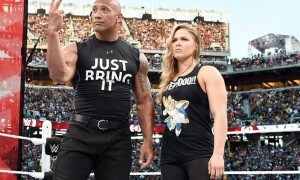 Outside of storylines, a manager’s job is to help the wrestler they’re paired with get over. For this reason, managers are usually paired with wrestlers who the writers feel have great potential, but need a little help to the top. For example, if a wrestler can perform well in the ring, but lacks the gift of gab, a manager will cut promos for him. Often the very act of aligning oneself with a manager, or conversely breaking away from a manager they’ve worked with, can change a wrestler’s alignment, making them a sudden fan favorite or villain. While the basic goal of a manager is to give his or her wrestlers a push never changes, how they go about it will depend on several factors, especially alignment. A heel manager, for example, may have their wrestler constantly duck tougher opponents while cheating to help them win when they do actually wrestle. A face manager, however, may spend the majority of their interview time talking about how tough their wrestler is and going out of their way to find bigger and better opponents to challenge, as proof. 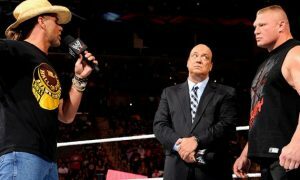 Whereas Heyman and CM Punk were a lethal combination together, both could use the mic to their advantage and a weapon over other opponents. Now, Heyman “IS” the weapon of choice when it comes to Lesnar and promoting him as the biggest and baddest champion the WWE has ever witnessed. Lesnar’s portfolio may not be as large as other wrestlers on his size and skill (which is not a lot), but it is impressive. This is Lesnar’s fourth reign as WWE Champion. Lesnar is also a former UFC Heavyweight Champion and NCAA Division I Heavyweight Wrestling Champion, making him the only person to have won a WWE championship, UFC championship, and NCAA wrestling championship. Lesnar gained prominence in the WWE from 2002 to 2004. During that span, he won the WWE Championship on three separate occasions with victories over The Rock and Kurt Angle (twice). Lesnar won his first WWE Championship at the age of 25, making him the youngest WWE Champion ever. He was also the 2002 King of the Ring and winner of the 2003 Royal Rumble, making him the youngest Royal Rumble winner as well. If Lesnar is to continue his dominance as champion, it must be done through the mouth of Heyman. The two are connected at the hip in terms of success. Heyman can stand on his own, getting over with the WWE Universe, but I am not the same thing can be said for Lesnar as a dominant, yet fumbling at the mouth wrestler.